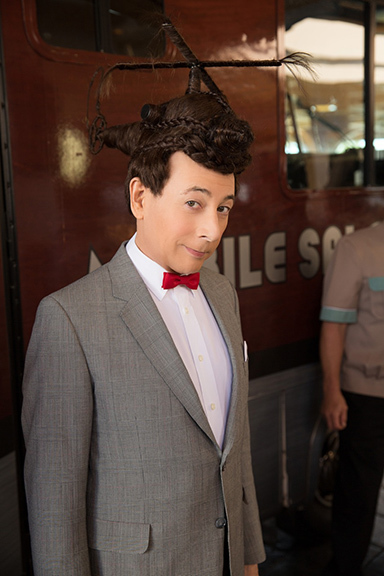 JUST ANNOUNCED: My new feature-length movie, Pee-wee’s Big Holiday, will premiere on Netflix in March 2016!! Mark your calendars for March 2016!! Pee-wee’s Big Holiday!!! In Pee-wee’s Big Holiday, a fateful meeting with a mysterious stranger inspires Pee-wee Herman to take his first-ever holiday in this epic story of friendship and destiny. Judd Apatow (Anchorman, Bridesmaids) and Paul Reubens (Pee-wee’s Big Adventure, Pee-wee’s Playhouse), worked together to bring the project to fruition and produced the film. It was written by Reubens and Paul Rust (Comedy Bang! Bang!, Arrested Development), and is directed by John Lee (Wonder Showzen, The Heart She Holler). This is the single most important piece of news I have read today. Agreed. This makes my day. But you’re worth it, PW! Yeah! Thank you Netflix! Thank you Pee-wee! Can’t wait to see it. Aaaaaaaaaaaaaaaaaaaaaaaahhhhhhhhhhhhhhahahahahahhahaaa!!!!!!! Pee-wee said today’s Secret Word! 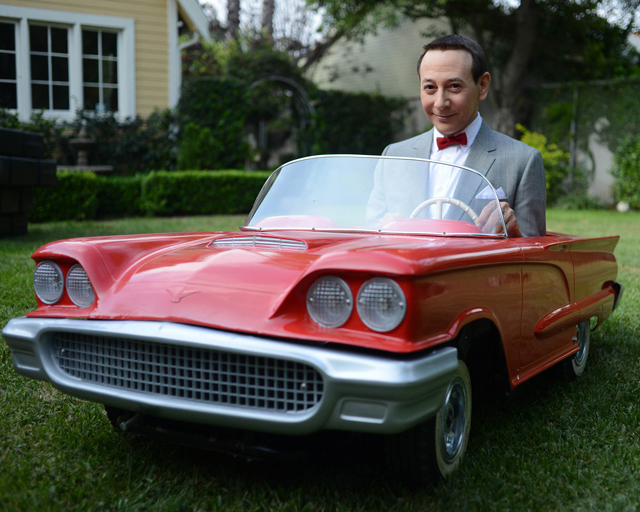 Pee Wee – I’ll have the premiere party at my house. You’ll be the guest of honor! I’ll even have a red carpet to welcome you. OH! Mart will be main month next year!!!!! I can’t wait to see it! Pee Wee and Joe…how can I not love it! • A car instead of the best bike in the world? You’ve changed, man. Oh man, can’t freaking wait! Oh, Pee Wee, I’m so happy for you. And for me. And for the world! Damn (er… sorry) DARN good news for a change! Paul I’m very proud of you! I’m marking my calendar to watch this film gem! Looking forward to this amazing movie! Thank god I’m gonna have my laptop, Netflix, and wifi in my dorm!! SO excited!! Long overdue! 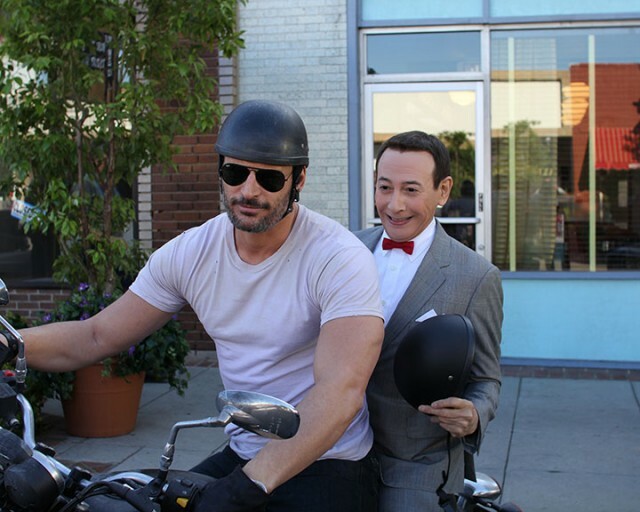 Welcome back to the silver screen, Pee-wee! Oh man….I’m all emotional now. Best news ever. Yippee!! I’ve been waiting for Pee-wee’s return for YEARS. It always shocks people who know me to be a haughty cinemaphile when I say that “Pee-wee’s Big Adventure” is my favorite film of all time. A famous painter (Grace Hartigan) once told me that she went on a date with a man and they saw “…Big Adventure.” She laughed; he didn’t; so she broke up with him right then, concluding (reasonably) that if he didn’t find Pee-wee funny, he wasn’t suitable for her. I’m marking my calendar now! i can’t wait to see this movie! You win the internet today Sir……………. For some reason, i had been under the impression Apatow was directing. I’d have never guessed one of the geniuses(or is it geniui? perhaps just geni… no, geneye!?) behind Wondershowzen and The Heart She Holler would be wrangled into the director’s chair. Now i’m even more excited, i can hardly contain myself! Whatever shall i do for the next 6, 7, well 8ish looong months of anticipation? Just pining for your stagecraft after reviewing the Christmas Special. Great to see Pee-Wee again. So happy is still acting. Not directed by Tim Burton. We will see. I’m gonna love this story! THIS IS AMAZING!!! I can hardly wait!!! But I’ll do so for you, Pee Wee! Pee Wee, you need to get SnapChat so you can take some more pictures and share them! That’d be so cool! Can’t wait to see if Puddles Pity Party made it (and of course his bow tie). Pull up Chairy and let’s watch! He’s grown up, that’s what grown ups drive! Can’t wait !!! … will it be premiering in the basement of the Alamo ??? I don’t think I can wait until March!!!!!!!!!!!!!!!!!!!!!!! I hope I’m still alive in March of 2016. I need a PW fix bad. my grandson and I just watched Big Top Pee Wee…. Twice…. Loved it..